BMW supplier Robert Bosch is resuming deliveries of steering gears that will enable the carmaker to revive full production of models including its bestselling 3-series sedan after a parts shortage disrupted output. BMW will try to eliminate the manufacturing backlog in coming weeks, now that Bosch is again providing parts, Markus Duesmann, the Munich-based automaker's head of purchasing and the supplier network, said Wednesday in an emailed statement. Production of BMW's 1- and 2-series compacts, 4-series coupe and 3-series was subject to daylong suspensions in the past week at plants in Germany, China and South Africa because of the supply disruption. BMW, the world's second-biggest producer of luxury cars, said Monday that it will seek compensation from Bosch for the parts shortage. The Stuttgart-based component maker blamed a bottleneck at an unidentified Italian provider of casings for electronic steering systems. The operational snag raises pressure on closely held Bosch, the world's biggest car-parts maker, which is already facing scrutiny as investigators worldwide check the industry's diesel-powering technology following Volkswagen Group's revelation of emissions-test manipulation. It's also an unwelcome distraction for BMW. The automaker is contending with shrinking profitability as it spends money on overhauling key models and developing new technology to narrow the sales gap to Mercedes-Benz, which overtook it last year to rank first in luxury-vehicle sales. 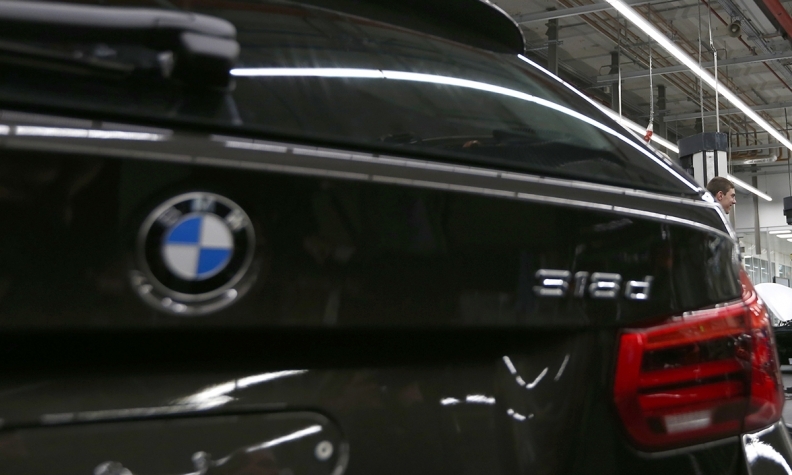 BMW declined this week to estimate how much the supply shortage will cost. Production of the company's larger models, including the flagship 7-series sedan and its crossovers, wasn't affected. Output snags in the auto industry can usually be compensated for by extra shifts once the disruption is resolved.